Our continuous run CNC Milling Services keep the lines moving, resulting in speed, repeatability, accuracy and cost savings for our customers. We work with aluminum, brass, copper, and many types of steel—including the more difficult-to-machine hardened alloys. Our facility houses four state-of-the art turning machines. The bar feeder and parts catchers allow for complete automation. Using probes that check the tool and parts dimensions, the machine can run unmanned and checks itself for accuracy. If something goes out of spec or breaks, the machine. Knowing this, will automatically shut down. The machines will also make the necessary changes in the tools, run another part, and check that part with the probe and when it’s a good part and only then it will continue to run unmanned. Our automated Vertical Milling process provides exceptional quality, flexibility, speed and lower costs for our customers. 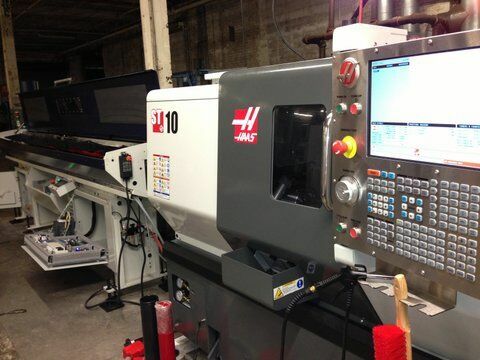 We also offer nonstop continuous horizontal milling. Our Haas CNC machines with either a 2 or 4 pallet capacity allow the machine to continuously run while our staff can set up the next batch. This process allows us to provide you quicker turnaround and per part savings. Our customers rely on our exceptional expertise and equipment to produce the highest quality work—and they rave about our customer service that’s second to none. Find out how we can help you reduce costs and speed time to market by contacting us today.